Coach Diana began her synchro career at age six by participating in the summer novice program and continued through high school. Like Coach Susan, Diana was also undefeated in Florida duet competition during her career and competed in numerous South Zone Championships, Junior Nationals, Age Group Nationals, and U.S. Open Championships. Her career highlights were South Zone Team Champions with Coach Susan in 1997 (only SWW team to win), 2nd place 16-17 Team at Age Group Nationals in 1998, Age Group National Duet champion with her sister Evonne in 1999, South Zone Spirit Award 1999, and Florida Athlete of the Year. After high school, Diana revitalized collegiate club synchro at Florida State University and coached part time while pursuing her degree. Her coaching heroes are her mom, Karen Paulk; former teammate Susan Comerford; and UF Gator Synchro coach Betsy Caza. Coaching also inspired her to pursue a teaching career in spite of having a business degree, and she currently teaches at Morgan Fitzgerald Middle School’s Center for Gifted Studies. While Diana loves coaching beginners, she has coached at every competitive level and trained many national finalists. 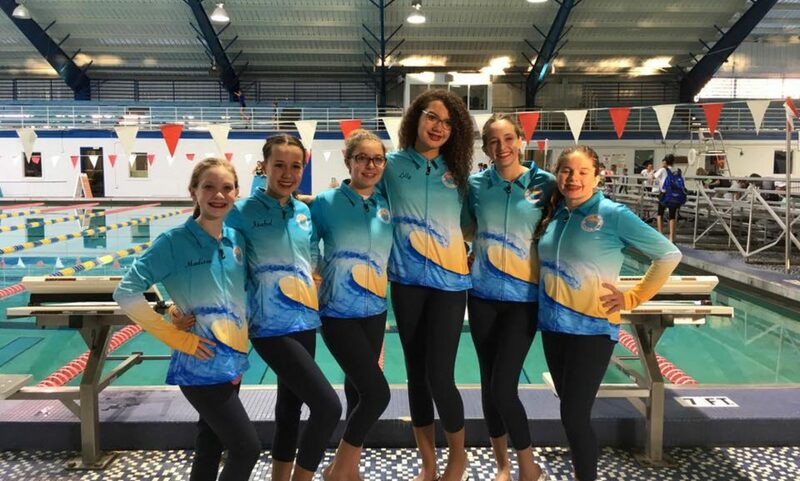 Her ultimate coaching highlight is having some of her former swimmers become coaches themselves, which she feels is Suncoast WaterWorks’ legacy – so many former swimmers coach all over the state and continue to be Synchro lifers. She also contributes to the association as the Officials Chairman, the zone as the Education Chairman, and is a member of the National Coaches Board and Membership committees. Coach Diana continues to compete as a masters synchronized swimmer. Susan Comerford joined Suncoast WaterWorks in 1986 when she was eight years old. She swam until 1998 and had a successful swimming career. She was undefeated in the duet event for six years in the State of Florida, was a member of the Florida All Star Team five consecutive years, and made finals at Age Group Nationals, US Open, Senior Nationals, Jr. Nationals, and South Zone Championships various years while she was a swimmer. In 2000, while at the University of Central Florida, she began coaching for SWW every weekend and summers. After graduating she took a more integral role, focusing her efforts on recruiting new swimmers, organizing communication, running meets, and creating novice routines/videos for the state of Florida. Together, with the founder of the team, she created and implemented the “Summer In Synch” program, which was adopted by USA Synchro and helped SWW gain many new swimmers. The grassroots program is still used today as a recruitment tool throughout the country. Eventually, Susan took over the coaching responsibilities for the Advanced team. She coached several routines making finals at National competitions for many years and was the first coach to take a team to Senior Nationals for the club. In addition, several of Susan’s swimmers qualified for Jr. and Sr. National Team Trials and went on to swim on college teams across the country. Today Susan is a consultant and substitute coach for the team. She dedicates the majority of her time to supporting her children in their sports and to her students at Pinellas Park High School, where she is a reading teacher and department head. As a Clearwater native, Coach Shea competed for Suncoast WaterWorks for eight years. Shea and her team placed top ten multiple times at national and international competitions. Her highest accomplishments as an athlete include placing 4th individually in 18-19 figures and 2nd in 18-19 duet at the 2012 Age Group National Championship. Her personal career highlight was winning the U.S. Masters Games with former coach Diana and former partner Katy Alexander. After graduating from Calvary Christian High School in 2012, Coach Shea attended Florida State University to pursue her Bachelor of Science in Finance and Master of Business Administration degrees. During her time in Tallahassee, Shea served as the assistant and head coach of the Tallahassee Serinas Synchronized Swimming Team for five years. As the Age Group coach, she led her team to multiple top ten finishes at national and zone competitions. Having moved back to the Tampa area, Shea has returned to her home team to coach the Intermediate and Age Group teams and will continue to compete nationally and internationally at the masters level. Coach Erin joined Suncoast WaterWorks when she was ten years old. Erin and her mom attended the annual watershow, and she has been with the team ever since! Erin swam through high school and started coaching for SWW after graduating. As an athlete, Erin competed at many national meets, was a finalist at most of them, and was a member of the first SWW team to compete at US Nationals which Coach Erin expressed was such a great experience! She also was a team finalist at the U.S. Open, an international competition. Throughout her years of coaching Erin has learned so much more about the sport and loves seeing the young swimmers grow up and knowing she was able to contribute to and be a part of their synchro journey. Coach Riley began her synchro career in seventh grade, when she had Coach Diana as her math teacher. She competed for SWW for three years and even competed for the Team Florida combined combo. Riley is now a senior at Largo High IB, where she competes on the varsity speed swim team and varsity soccer team. In addition, Riley also runs an athletic club. For her IB project, Riley is examining and researching coaching. As a volunteer coach this season, Riley has become even more patient and understanding. Her work with different ages and personalities has allowed her to learn and use many techniques for maximizing success with children of all abilities. Riley’s favorite part of volunteer coaching is fostering relationships with and becoming a mentor to the athletes.